The 80th IIHF World Championship (International Ice Hockey Federation) will be held in Moscow and St Petersburg from 6th to 22nd May 2016. This is the third time that this major world sporting event has taken place in Russia. The new VTB Ice Palace, in the Russian capital has formal approval to host the world's best hockey teams. The Moscow indoor multi sport arena holds 12000 spectators, while in St Petersburg, the Yubileyny Sports Palace arena (SC Jubilee) holds 7300 hockey fans. Previously, both cities had the honour of holding this event; Moscow in 2007 and St Petersburg in 2000. 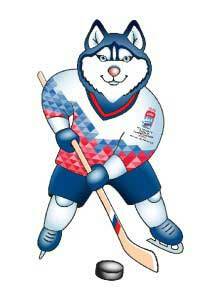 Sixteen teams have been organised into two groups by the IIHF and this should provide some exciting action. The results of the previous championship has determined which teams participate. The Russian team in Group A will compete against Czech Republic, Sweden, Switzerland, Latvia, Norway, Denmark and Kazakhstan in the VTB Ice Palace in Moscow. The Canadian team, winners of the last World Cup will be in Group B playing against Finland, USA, Slovakia, Belarus, France, Germany and Hungary. Their venue will be in St Petersburg in the SC Jubilee Arena. Tickets are already on sale and very soon the ice hockey world will witness the thrill of the games and the victory of the new ice hockey champions of 2016.